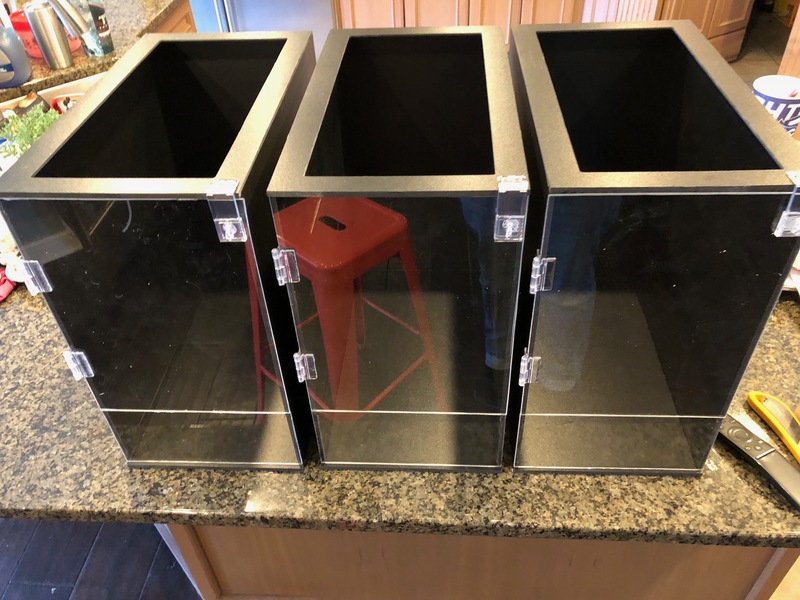 My wife has a number of small geckos and wanted me to build cages that would look nice and fit well on some shelves. After a few prototypes we settled on the design below. Modeled in Fusion 360, used 1/4" pvc foam board with 1/4" endmill. Happy with the outcome, except for the acrylic hinges. You can see in the second picture, the door sags a little because there’s a little wobble in the hinges. Still usable but annoying. Are they all like this? I did get cheap ones from amazon. I’m fine with paying more but don’t want to keep ordering them if they all are like this. Thanks! The easy solution to this is hide the joint with an overlap. 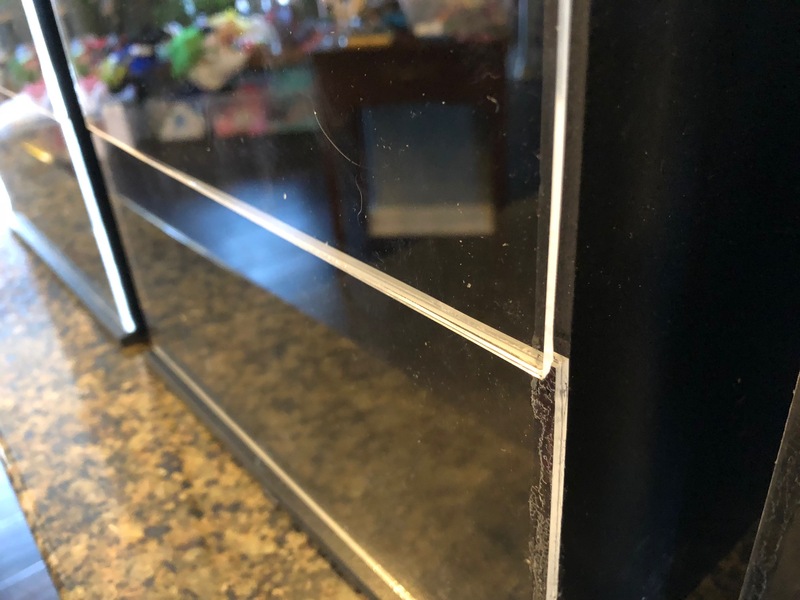 Open it up a little (as far as you can - maybe 1/4-1/8") then put another strip of acrylic (clear or colored) across either 1) the inside of the bottom fixed piece, or 2) across the front of the door that lays across the “gap” - all the extra edges will hide the “droop”. I’m thinking maybe something about 1/2" wide. It’s an idea. It might clutter up the design somewhat, which might not be acceptable. If you put the hinges on the bottom or top, the doors won’t sag unevenly. If you redesign the habitat so the door slides up and down in a channel, you won’t need hinges. Thanks for the feedback guys. I was shooting for minimal visual obstruction, so the extra strip or hinges on the bottom is less desirable to me. Hinges on the top doesn’t work with our current shelving. I’m intrigued by the hingeless door, but can’t quite conceptualize how that would work.